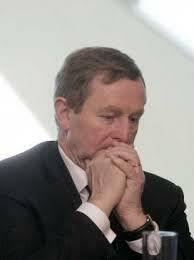 Decision made by the Dail in November. More than €1.75 billion already pumped into country’s asylum system. Record grants of Irish citizenship to foreign nationals of nearly 120 countries. The government is inviting Syrian youths from Calais to relocate to Ireland. Officials have been to France where arrangements have been made for up to 40 to travel here. Minister for Children, Katherine Zappone, an American, said the resettlement of the youths, aged16 to 17 years old, will cost €11.5 million per year. Zappone said the decision to request the youths to travel to the country was taken by Independent TDs and other Dail public representatives. 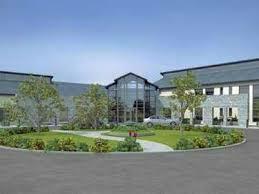 Additionally, the Department of Justice has leased a hotel to house Syrian families in Ballaghaderreen. It is believed to have accommodation for upwards 250 persons. Ministers and TDs are saying they have a moral obligation to resettle people from Syria in the country and Ireland will facilitate the resettlement of an even greater number of arrivals in the period ahead. Communities are kept in the dark about the planned relocation of families to their areas. To date, there has been a reluctance to reveal the real cost of the Irish asylum system to taxpayers. However, since its inception, the cost of programme is understood to have rocketed to €1.75 billion and may well be more. establish a refugee resettlement programme. In 2000, the Fianna Fail Government bought a hotel in Rosslare to house foreign refugee families. But plans to use it as a reception and accommodation centre were abandoned after lengthy protests by residents. Eighteen months later, the hotel was sold by the Office of Public Works at a reputed loss of €500,000 to the taxpayer. Housing foreign refugees has apparently become what an observer has described as one of Ireland’s most prolific and commercially profitable industries – all developed while government has left thousands of Irish homeless families and children (many recent evictees) to wander the streets in search of a place to live. The Dail was told that in 2013, 33 private commercial bodies were operating in the asylum accommodation sector. Locations of the premises were identified as being Dublin, Cork, Clare, Kerry, Tipperary, Limerick, Waterford, Kildare, Meath, Monaghan, Westmeath, Galway, Mayo, Sligo and Donegal. More, including Roscommon, have since been added. In some cases, major companies or private entities are operating a number of the facilities, some of them said to be also involved in the property, hospitality or catering business. Accommodation and other costly facilities for foreign asylum seekers are also being laid on by the State itself. Among the hotels are The Hazel in Monasterevin, Clonea Strand Hotel, Dungarvan and the Abbeyfield Hotel in Ballaghaderreen. Reports indicate that between just 2000 and 2006 alone, government handed private firms €850 million to provide accommodation for refugees. which government has opened the door is so massive that there is now a grave risk whether the social infrastructure of the State can cope with the pressure. Housing is in chaos; health is virtually caving in under the ever heightening demands on the service and schools in many cases are at near breaking level. On the economic front, the opportunity for employment in such as most of the North West and many other regions is limited in the extreme. Young Irish people are leaving in droves. Many business operations are relying on relatively cheap labour to stay afloat. But even that hasn’t been sufficient to keep shops and other enterprises from having to close. Vacant units are to be seen all over the place. This is the desperate environment into which government is dropping families from Syria and other places. 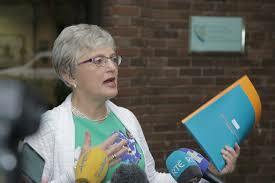 Interviewed on RTE Drivetime, Minister for Children Katherine Zappone said government officials had travelled to Paris to “identify young people who would like to come to Ireland …” The government, she said, has arrangements to “initially” take in 40 youths, aged 16 to 17. Asked by Drivetime presenter Mary Wilson, “where will they come to…” Zappone said, “they will join one or two of the residential settings that are already in Ireland and established for unaccompanied minors.” The centres are in “different parts of the country” and small, she said. 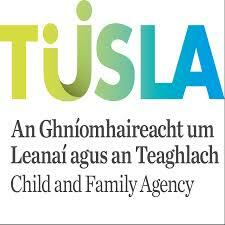 She was asked if “she was saying” Tusla will receive an additional €11.5 million to cope with the influx of the forty youths or have to find the money from the service’s own existing resources. Asked what will happen when the now 16 and 17-year-olds reach 18, the age of majority, Zappone said Tusla would continue to work with them. People coming to reside in Ireland under refugee provisions are entitled to access education and all other services of the State, and take up employment. Refugees from non-EU states have been taken into Ireland since as far back as the 1990s. By 2002, there was nearly 12,000 in the country. Some industry interests are currently calling for a much greater population of migrants to be allowed settle and work in the state. Records reveal that proportionately, Ireland’s rates of citizenship granted to non-nationals is the highest of any of the other EU States.Tens of thousands from nearly 120 different countries have been granted Irish citizenship since 2012. The Taoiseach, Enda Kenny reportedly said in 2015 that Ireland had taken “85,000 new citizens” over a previous few years.Then Minister of State, Seán Sherlock, is said to have pointed out that the country also had, up to then, contributed €31 million towards the humanitarian effort on the ground in refugee camps along the Syrian borders. He also referred to the deployment of the Irish naval vessels in the Mediterranean. The cost of the deployment has not been disclosed. In 2016, a Sligo-Leitrim TD who posted a parliamentary question asking how many Muslims had applied for Irish citizenship in the previous three years was told that the government did not keep such records. The total number of non-nationals – illegals, referred to as undocumented, economic migrants and refugees – in the country at present is unknown. Previous PostChange of Government could kill McLoughlin fracking billNext PostRecord surge in food export profits as farm incomes plummet.